My two-year-old asked to go outside, but it's far too cold out, so instead he's busy playing with the duster instead of napping like he should be. Why don't toddlers know what a privilege daily naps are? I'd love for someone to make lunch for me and then tuck me into bed, turn off the lights and tell me to go to sleep all afternoon. 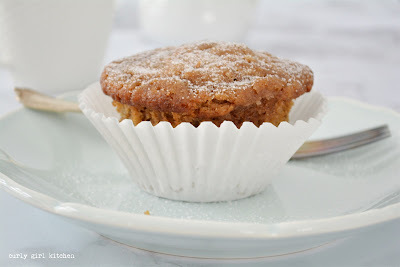 It's been a few weeks now since I made these muffins, but I can still remember the wonderful scent in the kitchen as they baked. 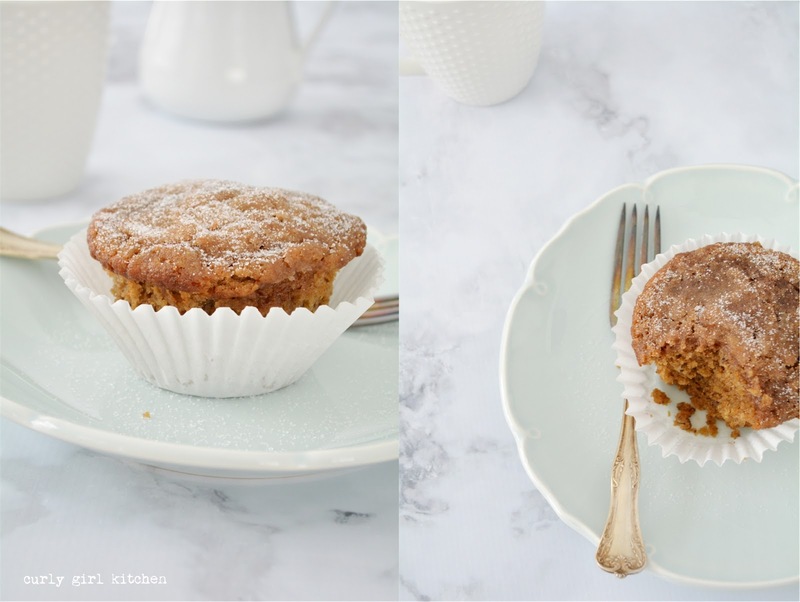 Coffee, cardamom, toasty sugar and walnuts came together in a beautiful muffin that was soft and tender and full of flavor. I finally replaced my old muffin tins which were likely 20 years old and more than a little rusted, with a regular size and a jumbo size pan, and I love making great big muffins in my new pan. Coffee and walnut is one of those classic flavor combinations, and one that shows up repeatedly in the bakers' creations on The Great British Baking Show. I really love the addition of the cardamom, as well. 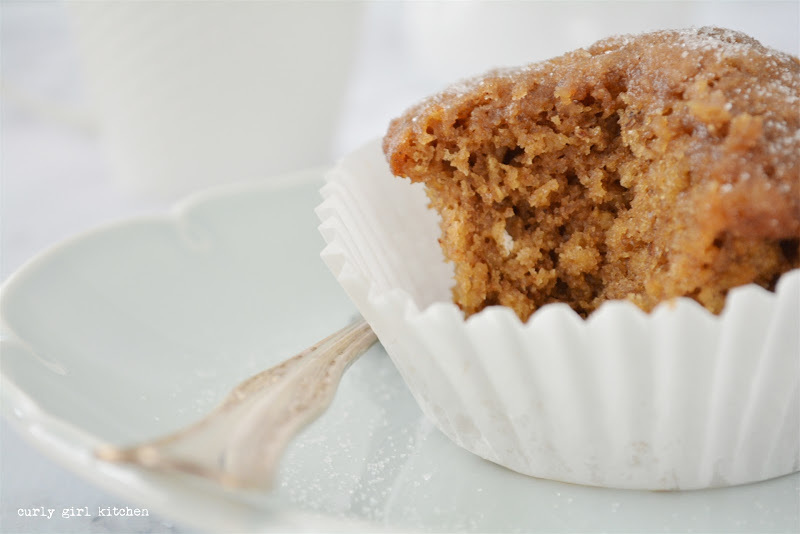 If you don't have or like walnuts, then pecans make a fine substitute in these muffins. Preheat the oven to 350 and line a muffin pan with paper liners. I made 6 large muffins, but you can also make 12 standard-size muffins. 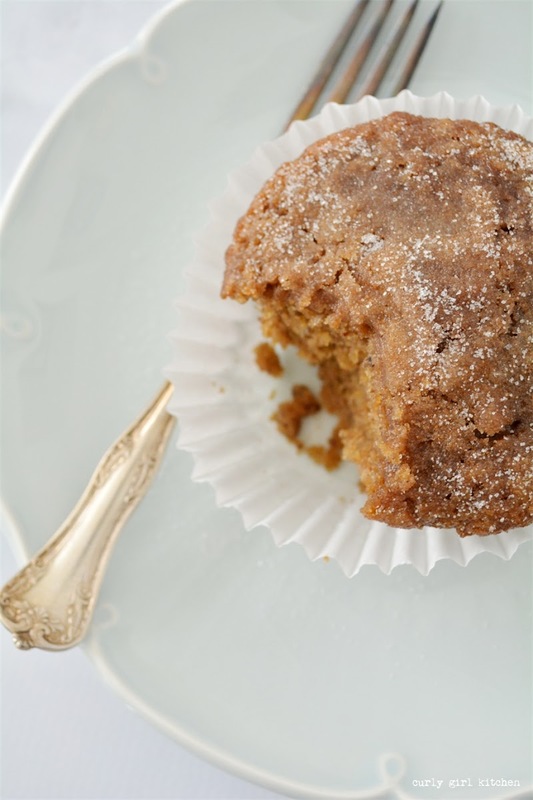 With an electric mixer, beat the sugar and butter for several minutes, until light and fluffy. Scrape down the bowl and whisk in the coffee, sour cream and eggs until well combined. In a separate bowl, whisk together the flour, baking powder, baking soda, salt, nuts, cinnamon and cardamom. Add the dry ingredients to the wet and mix just until combined. Spoon the batter into the muffin pan. In a small bowl, combine the topping ingredients and sprinkle over the batter. 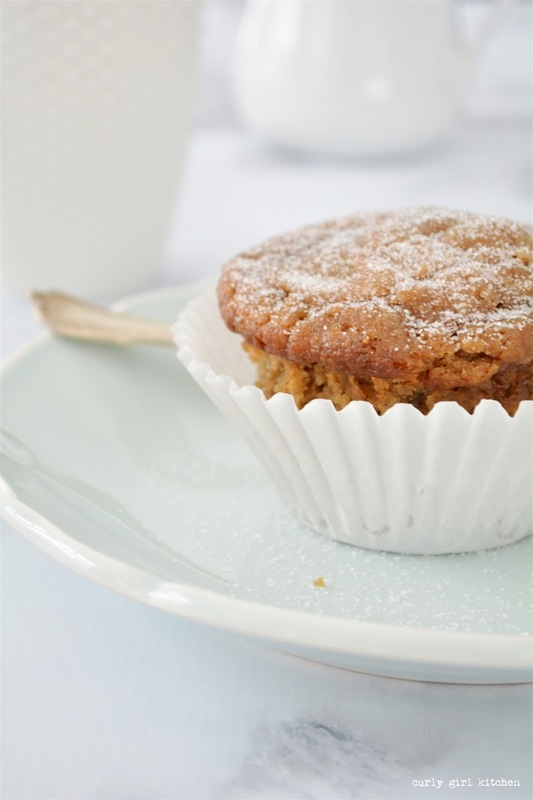 Bake until a toothpick in the center of the muffins comes out clean, about 15-20 minutes for small muffins and 25-30 minutes for large muffins. Cool for five minutes in the pan and then carefully remove and cool for 15 minutes before serving.